| Etiquetas: Jamie Dimon, JP Morgan Chase and Co.
J.P. Morgan Chase & Co. says it is huge, but only in the best way, and just sprawling enough to serve its clients without being unmanageable. Those were among the takeaways as the country’s biggest bank by assets again argued that its size is a benefit and not a problem that should worry shareholders or regulators. 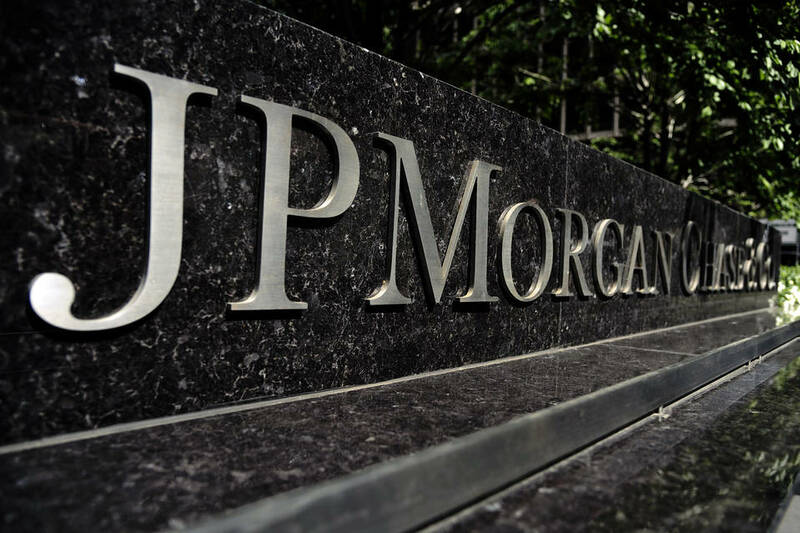 In a proxy released Thursday morning, J.P. Morgan pushed back against a shareholder proposal for a bank breakup, pointing to its business synergies, benefits of scale and value to clients. The bank also said it has slimmed down even more in the last year, reducing assets by about $200 billion, dropping its regulatory capital surcharge by 1 percentage point and nearly wrapping up an effort to simplify its business. Less than 24 hours earlier, however, Chairman and Chief Executive James Dimon’s annual shareholder letter touted the virtues of the bank’s size and ability to absorb losses—for the entire industry in certain cases. J.P. Morgan “alone has enough loss absorbing resources to bear all the losses, assumed by [a stress test issued by the Federal Reserve], of the 31 largest banks in the United States,” Mr. Dimon wrote in his 50-page letter. He added that large U.S. banks are “far stronger” because of regulations and higher capital requirements. Yet J.P. Morgan has continued to face more forceful questions from analysts, investors and shareholders during the past year over whether it might be better for shareholders if the global bank broke itself up into smaller, more manageable units. The issue of whether banks should be broken up is also a consistent topic on the presidential campaign trail. That presentation also referenced $18 billion in pretax synergies, and the bank added Thursday that each of its businesses benefits from its $9 billion in annual technology spending, which includes more than $600 million the bank expects to spend this year on cybersecurity. The shareholder vote was requested by Bartlett Naylor, a shareholder activist and a financial policy advocate at the liberal lobbying group Public Citizen. He and others have raised the issue multiple times in previous years with other big banks as well, without getting much traction. Mr. Naylor proposed that J.P. Morgan as well as Citigroup Inc. each create an independent board committee to address whether the bank would be more valuable to shareholders by divesting all noncore banking business segments. The committee would be required to report back to shareholders within 300 days. The bank said that wouldn’t be necessary or valuable to shareholders, breaking down details of shareholder communications that already include strategy discussions. For instance, J.P. Morgan hosted more than 90 shareholder calls and meetings on topics including strategy, participated in more than 50 investor meetings, presented at 13 investor conferences and conducted 10 investor trips in the U.S., Europe and Asia. “The Board and management do not favor size for its own sake or support or oppose any strategy on ideological grounds, but instead analyze strategy from the perspective of serving the Firm’s clients, customers and communities and how we believe any particular strategic initiative will affect long-term shareholder value,” according to the proxy. The proxy also shed light on Mr. Dimon’s $27 million pay package for 2015, the highest among large U.S. bank CEOs. J.P. Morgan’s board said Mr. Dimon deserved the $7 million boost from the prior year, or 35%, because of strong multiyear results, business simplification efforts and strengthened “control” environment, among other factors, according to the proxy statement. “Mr. Dimon has led a multiyear effort to fortify our controls, which includes addressing issues that resulted in supervisory and enforcement actions,” according to the proxy. Mr. Dimon’s pay package comprises $20.5 million in performance-related restricted stock and $5 million in cash, along with his base salary of $1.5 million, according to a January filing. This is the first year Mr. Dimon is being paid in performance share units, a type of restricted stock that has requirements on how long it must be held and has the possibility of being worth nothing based on the performances of Mr. Dimon and the bank. The new features are designed to respond to a shareholder proposal last year that nearly garnered a majority in voting against Mr. Dimon’s pay package. The bank also disclosed that the board updated its policy on director age in 2015, beyond the previous 72-year-old retirement rule. J.P. Morgan’s board has two key directors who passed the threshold: lead independent director Lee Raymond, 77, and audit committee chair Laban Jackson, 73, who is a liaison to regulators across the world. They both offered not to stand for re-election this year, according to the proxy. “The Board believes that, while refreshment is an important consideration in assessing Board composition, the best interests of the Firm are served by being able to take advantage of all available talent and the Board should not make determinations with regard to membership based solely on age,” according to the proxy. The bank disclosed that the board in January amended its bylaws by adding for a right of proxy access, allowing “eligible shareholders to include their nominees for election as directors,” according to the proxy. It was adopted following “extensive discussions with shareholders and reflects their expressed desire to have additional access to the director nomination process.” The terms include allowing a shareholder to nominate up to 20% of the board, at least two directors in any event, and allows up to 20 shareholders to group together to reach the required threshold. The bank also said that it would hold its annual shareholder meeting in New Orleans on May 17.